Civil rights icon, and tireless entrepreneur. A smart, fearless entrepreneur, Viola Desmond was everything the Ivany Report calls for. They really couldn’t have planned it any better. A year ago, the Ivany Commission issued its report, calling for three “critical areas of change” to help turn around the Nova Scotia economy: more community and business leaders; more people staying in the province; and more innovative, value-added businesses. 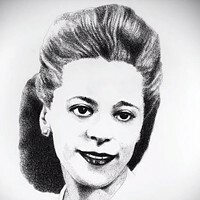 Then, as if by some feat of bureaucratic artistry, the province announced that our inaugural new February holiday would honour someone who epitomizes the kind of person the Ivany Report seems to champion: none other than civil rights icon Viola Desmond. By now, if you’re alive in Nova Scotia, you’ve heard the name Viola Desmond. If you’ve been paying attention, you know the story. The one where Desmond, in a fateful moment in a New Glasgow theatre, decided to defy Nova Scotia’s segregationist culture by insisting on her right to sit in the floor seats. It’s the story where she suffered a night in jail, a guilty verdict for tax evasion and years of court appeals and stress as a result. The one where she unwittingly became Canada’s Rosa Parks, nine years before Rosa Parks took her stand by staying seated on a Montgomery bus. But there’s another aspect of Desmond’s story that you should also know, especially in these post-Ivany times. Viola Desmond was a smart, fearless entrepreneur and a role model for everything the Ivany Report says we need. Long before Fred Connors was a glimmer in his mother’s eye, Desmond was building a beauty empire in Halifax. By the time she was 32 years old, Desmond had opened Halifax’s first beauty shop catering to black clientele (The Desmond Studio of Beauty Culture on Gottingen, near Uniacke Street). She had also started a school training future beauticians from all over the Maritimes, and created a line of beauty products which she distributed throughout Nova Scotia (sometimes, presumably, through her former students). By just going about her business, Desmond set practical examples that defied the gender and racial stereotypes of the day. Remember the part of the story where she’s in a New Glasgow theatre? She got there in her own car, on her way to Sydney to distribute her own products. 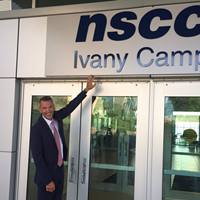 In addition to strong leadership like Desmond’s, the Ivany Report also called for more innovative, value-added enterprises in Nova Scotia. It’s likely Desmond never used the term, but value-added was the crux of her business. She imported hair and made wigs and “chignons.” She imported powders and mixed her own custom colour blends. And she packaged everything meticulously in her own Sepia Beauty Products line. 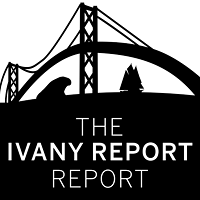 Perhaps the biggest thing the Ivany Report shines a light on is our lack of ability to keep people here. This is a tricky one when it comes to Desmond, because ultimately she left. In 1950, with health and personal problems mounting (perhaps exacerbated by the stress and disappointment of the Roseland Theatre incident), she left Halifax to start a new career, winding up in New York running her own talent agency. But for most of her life (she died young, at 50) Desmond was actively staying in Nova Scotia—against the tide. A shocking 12 out of 15 siblings in Desmond’s family left the province. The Roseland Theatre incident had uncovered just the tip of the iceberg of Nova Scotia’s Jim Crow culture. Desmond and her sister had an earlier taste of it when they were denied teacher training because they were black. Instead, she and her sister self-taught and passed the certification exam on their own. Despite all this, Desmond stayed committed to Halifax, to growing her business and to helping train young women to follow in her footsteps. 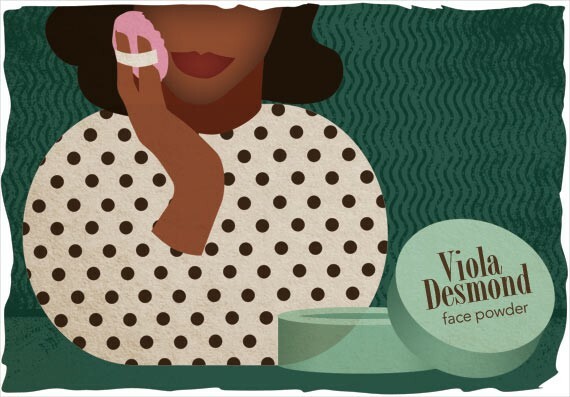 Because of her brave stand in the Roseland Theatre, Viola Desmond will be forever compared to Rosa Parks. But she is closer in spirit to Madam CJ Walker, a fellow black beauty entrepreneur and America’s first female millionaire, whose story inspired Desmond to launch into business in the first place. Viola Desmond was ambitious, hardworking, community-minded and smart as a whip. She was an entrepreneur who ultimately saw more opportunity in Nova Scotia than she saw otherwise, which is exactly the sort of attitude the good folks at the Ivany Commission are hoping we can all muster.